Many people have been wondering if the Sony Xperia Z2 would be making its way stateside with the rest of the major flagships this year, and rumors have been stating that we might see the phone headed to Verizon Wireless as an exclusive handset sometime in the future. Sony has denied this of course saying that the phone will not be made exclusive to any major carrier, and that the phone would eventually be made available in the U.S. but only as an unlocked version of the handset. While this doesn’t seem too surprising as Sony’s devices have been available unlocked in the past, but T-Mobile last year had exclusively carried the Sony Xperia Z and the Sony Xperia Z1. For this reason many though they would be picking up the Sony Xperia Z2 as well but according to Sony that won’t be the case. 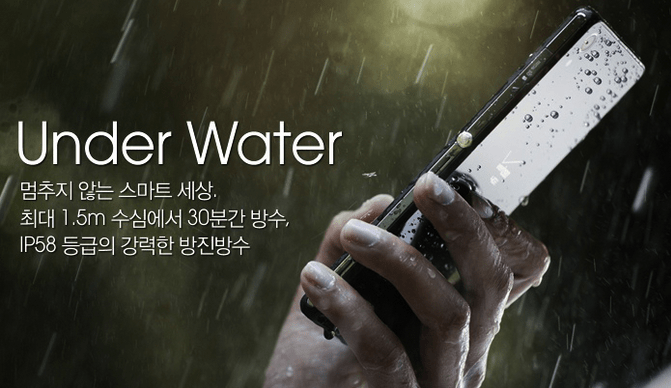 Although Sony states that the phone will only be available as an unlocked device, a leaked image that has surfaced seems to display the Sony Xperia Z2 in an ad that appears to have the Verizon Wireless logo on the back. The logo is barely visible but right in the middle of the back plate of the device you can see the iconic Verizon Wireless “V” atop the word Verizon and 4GLTE like we see on many of their other devices. Since there has been no official word on whether Verizon would carry the device or not,(in fact it’s been the exact opposite)we can’t rule out the possibility that this image could be a complete mock up, just like the last one that was apparently mistakenly leaked on Sony mobiles G+ page back on the first of May. However there isn’t any evidence that the image is a mockup either which means there is a possibility that the image is legitimate. Currently the Sony Xperia Z2 Tablet is only available through Sony’s online store here in the states officially(although there are some online stores via Amazon that are re-selling the device, so it’s likely we could see the same thing happen with the Xperia Z2 smartphone)so it wouldn’t be a surprise of Sony took the same route with their new phone as well. The image comes from an asian online news source called under kg. What do you make of the leak? Could the Sony Xperia Z2 be a Verizon exclusive? The post New Image Leak Of The Sony Xperia Z2 Displays Verizon Logo On The Back appeared first on AndroidHeadlines.com |.